Arcade games can make you feel like a kid again, and take you back to an era where the graphics didn't matter, and you filled your pockets with quarters trying to beat your favorite game. Your smartphone and tablet have more processing power than an old arcade game did in the 80s or 90s, meaning plenty of companies have transferred over classic games to the mobile platform allowing you to play some truly memorable games in video game history. Here, in this review, we’re going to talk about one of our favorite arcade games on both Android and iOS platform – StackD. What is StackD & Why We Like It? 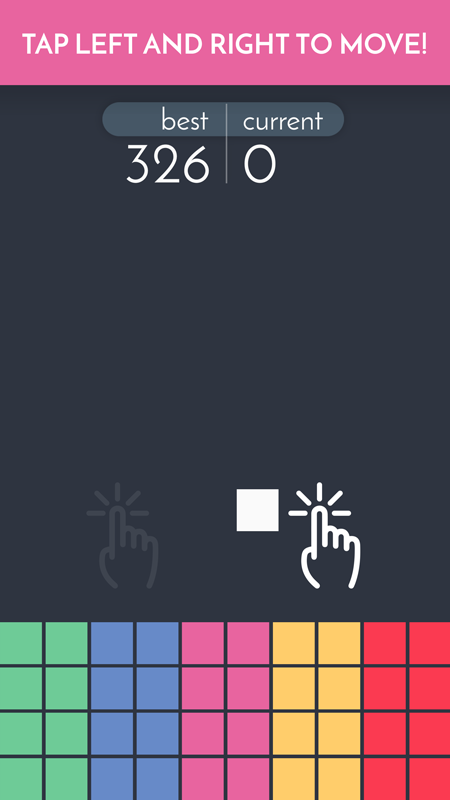 StackD is a block puzzle game that can take your gaming experience to a whole new level. It is a challenging, addictive and unique game, suitable for both children and adults. Plus, it is designed with smooth touch screen controls, beautiful graphics and fun sounds and sound effects. The gameplay is simple, yet challenging. All you got to do (besides having fun) is dodge the falling blocks in order to win. Play and do everything that is in your power to dodge the blocks, to avoid the obstacles on your way and to get the highest score. Also, note that each color means something - each color comes with a different behavior. Try to learn the color of each block, remember the rules and don’t forget to compete with your friends. Jump over the red blocks and avoid all the others to get the best score you can, test your puzzle game skills and download this cool game – it is totally free on the App Store and Google Play.